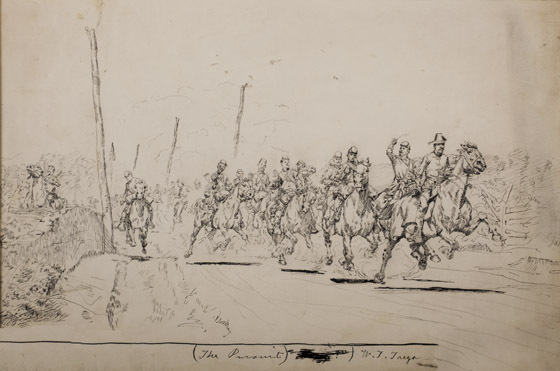 Signed and titled at bottom: "(The Pursuit) W. T. Trego"
Only small differences can be seen between this preparatory sketch and the final version of the painting, The Pursuit. The item has been in the family of the current owner for several decades, though its origins are unknown. The sketch appears to be in very good condition.